The weather has been fabulous lately and the kids have been getting outside a lot lately. Surae loves going out especially to slide, swing, and attempt to climb up the playhouse ladder. She is actually a great climber and can get up those steps in no time. She also loves the sand box and she and Graham have a great time digging holes and building castles. She is walking really well now too and very proud of herself. We are proud too! It has been a really busy month. Graham and Surae both were sick- Graham with strep throat and Surae with an ear and sinus infection. They are all better now, thank goodness, but it was a rough few weeks. Work has been super slammed too, but good. I just put on an Anxiety Awareness Event at my school, the first ever, and I think it went well. The Spartanburg Herald came out to cover it. Here is a link to the article. Life is basically great. 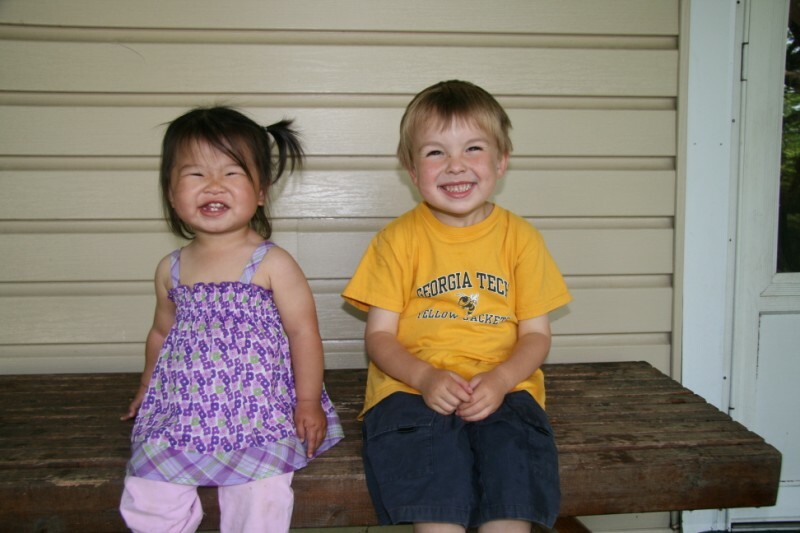 Surae and Graham are forming the cutest bond and really enjoy eachother in a way I never could have envisioned. It is the best thing to watch. 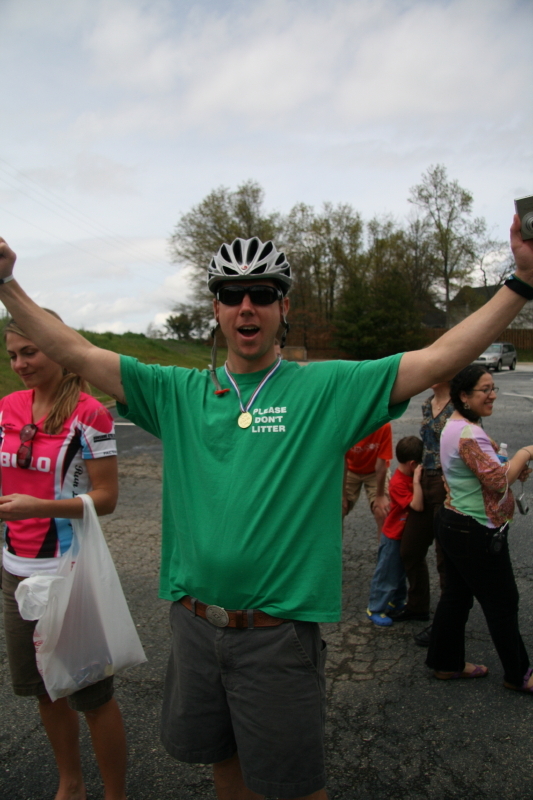 Graham was in his first bike race this weekend. 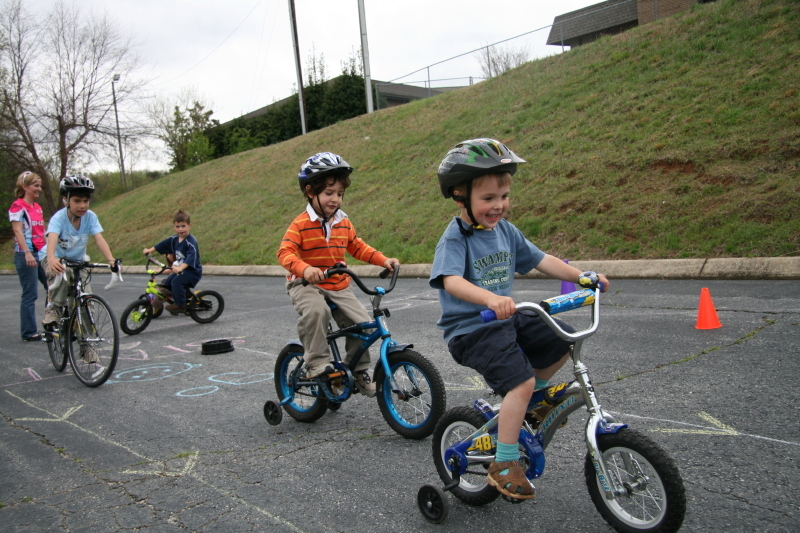 The bike race was part of an Earth Day Event sponsored by The Early Childhood Education Center. He was quite proud of himself. 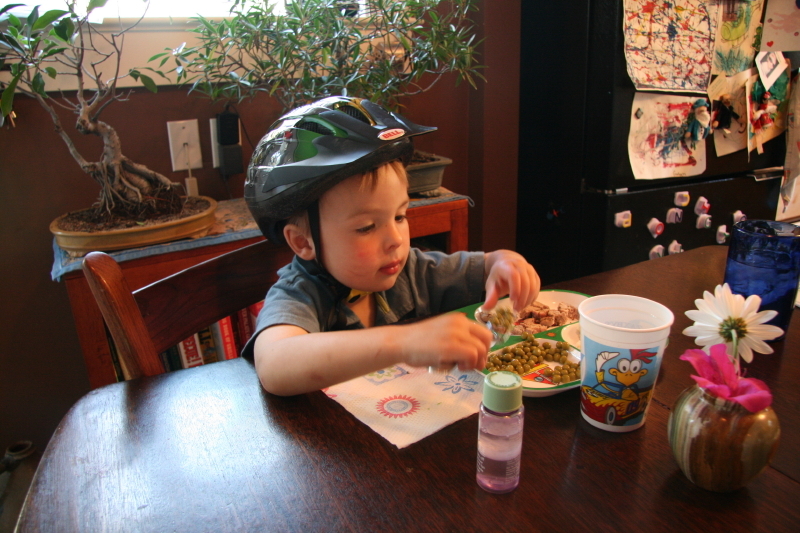 He liked his new helmet so much that he even wanted to wear it to dinner. Unfortunately, there was an older guy who tried to enter into the race although he obviously exceeded the age limit. He is trying to claim a victory, but the results of the race are being disputed!